Welcome back to Spring semester 2012! There are still open spaces in ETS 115, Shakespeare’s Tragic Heroes (#60778 section M002). It meets on Tuesdays and Thursdays from 11am – 12:20pm. Below is the course description. In this course we will be reading six of Shakespeare’s tragedies, with particular emphasis on the playwright’s characterization of each play’s tragic heroes and heroines. We will first seek out a definition of what constitutes the tragic form (e.g. Aristotle’s Poetics, Sidney’s The Defense of Poesy) with readings from early examples of this genre (e.g. Sophocles’ Oedipus Rex), before questioning why this genre became so popular in the late Elizabethan and early Jacobean periods. 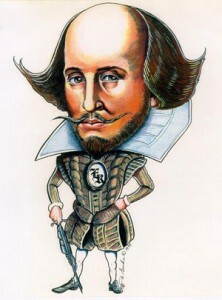 There are several sub-genres within the tragic form (love tragedy, political tragedy, domestic tragedy, revenge tragedy), often with unclear generic boundaries dividing them, and we will observe how Shakespeare is responding to other contemporary tragic modes. During the course we will be discussing moral intent and the tragic form, dramatic resolution, censorship, and contemporary playing conditions and players. We will discuss six of Shakespeare’s tragic heroes and heroines, from the fierce but pitiful Titus to the ambitious but conscience-stricken Macbeth, and identify recurring trends, concerns and motifs in Shakespeare’s tragic writing. The six plays we will be reading are Titus Andronicus, Romeo and Juliet, Hamlet, Othello, King Lear and Macbeth. Other Honors Courses are filling up fast! Check out our Honors Courses for Spring 2012 for more listings.